Interessant, wie es das UDIOCM (FDP) schafft, in einer selbstzufriedenen Vancouver-Bilanz seinen in selbstverschuldete Bedrängnis geratenen Koalitionär Theo Zwanziger (CDU) in höchsten Tönen zu loben. 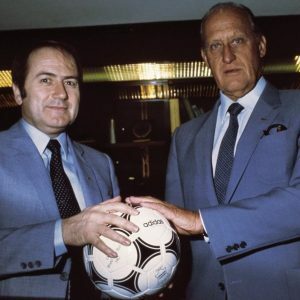 Ich weiß allerdings jetzt nicht so genau, ob die Unterstützung des deutschen Fußballs, ob nun DFB oder DFL, so enorm wichtig für Münchens Olympiabewerbung ist. Aber darum geht es vielleicht ein andermal. Heute kurz noch einige Anmerkungen zur Bilanz von Vancouver, die ja andernorts nicht so rosig ausfiel. Im Gegensatz zum UDIOCM ist etwa der langjährige russische NOK-Präsident Leonid Tjagatschow (IM Elbrus) seinen Job los. Sportpolitik in Russland fasziniert mich, keine Frage. In den kommenden Jahren werde ich mich dieser Spezialdemokratie ausführlich widmen und wenn alles klappt, im April schon mal in Sotschi nach dem Rechten sehen. Will damit auch sagen: Die Wünsche von Lesern werden immer ernst genommen und nach Möglichkeit erfüllt. Hier mal der Auftritt von Russlands Präsident Dmitri Medwedew aus der vergangenen Woche im Original, als er russische Sportverbände mit – je nach Übersetzung und Neigung der Journalisten – mit faulen, vollgefressenen Katern verglich. Mein Russisch ist auch nicht mehr das, was es einmal war, vielleicht kann jemand die Passage treffender wiedergeben, vielleicht aber sind die Übersetzungen, die dazu in den vergangenen Tagen angeboten wurden, auch einigermaßen korrekt. PRESIDENT OF RUSSIA DMITRY MEDVEDEV: Colleagues, the time has come to examine the latest round of new appointments. This week, as I understand it, we are starting with the candidates for the post of governor of Kemerovo Region. Later, we will have the candidates for governor in a few other regions to consider too. Mr Gryzlov, you have the floor. CHAIRMAN OF THE UNITED RUSSIA SUPREME COUNCIL AND SPEAKER OF THE STATE DUMA BORIS GRYZLOV: Thank you, Mr President. We have examined candidates for the post of governor of Kemerovo Region and we want to present three nominees to you: Valentin Mazikin, currently first deputy governor of Kemerovo Region, Sergei Neverov, a deputy of the State Duma of the Federal Assembly, and the incumbent governor, Aman Tuleyev. All three candidates are connected to United Russia. Neverov and Tuleyev are members of the party, and Mazikin is a supporter of United Russia. All three candidates are equal in merit, and so the choice is yours to make. DMITRY MEDVEDEV: Good, thank you for this presentation. In accordance with the law I will make my proposal in line with the established procedure. BORIS GRYZLOV: There is one other matter. The Olympic Games in Vancouver have just ended. Over these last two weeks we have followed out team’s performance very closely. I think, talking about Russians’ national idea, you could say that one of the things that unites us is a desire to always be first. It is all the more sad therefore to see that our country only reached eleventh place in the overall medal count. This is a worse result than Russia achieved in the first Olympic Games it took part in back in 1912. In other words, this is our worst result ever. I think this is a systemic failure. 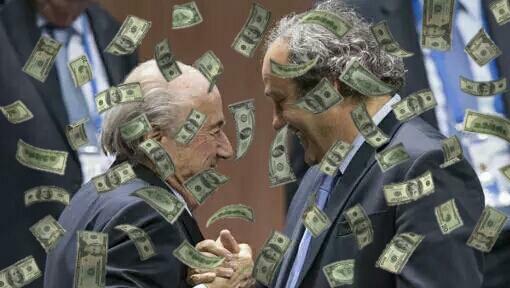 Of course, the sports officials should take responsibility for this. We have the Sochi Olympics ahead and I think that every day is valuable now and we need to decide how we are going to go about preparing for these Olympics. We would like to hear your opinion on this situation, because United Russia is ready to get involved in the efforts to get our athletes ready for the Games. DMITRY MEDVEDEV: Yes, and you should get involved. This is a national affair, something we all need to get involved in. I think it is still too early to make a final analysis, but I will make three points nonetheless. First, without question we need to thank our athletes who did produce results, who came through a tough competition to take victory. Sadly, they are fewer than we hoped. The team’s performance was uneven, but no matter what the overall result those who achieved victory deserve the highest praise. Whatever the case, I will therefore meet with our Olympic team and congratulate them, and I also hope to receive the information I need to go ahead with awarding state decorations to those who particularly distinguished themselves. Second, it is essential that we now proceed smoothly with the preparations for Sochi Olympics. Work is already underway, but it has to continue in two areas. First, and most important, we need to complete the infrastructure for the Games. We have already made considerable progress in all different areas in this respect, and I will soon receive an update report on the situation when the Council for Sport meets in March. Second, taking into account what happened in Vancouver, we need to radically change the way we train our athletes. Unfortunately, as is clear even to non-specialists now, we were able to keep riding along on the basis of what was developed and achieved during the Soviet period, but this is no longer possible today. We have lost the old Soviet school now. There is no need to idealise it. Quite simply, it no longer exists, but we have not yet built a new school to replace it, even though we have been investing unprecedented levels of funding in sport, and this is also an indisputable fact. This shows that money alone cannot solve all the problems. Money is certainly important and is an essential condition, but it does not solve everything. The results of these Olympics highlight the real problems that we face. We therefore need to rethink the way we train our athletes. 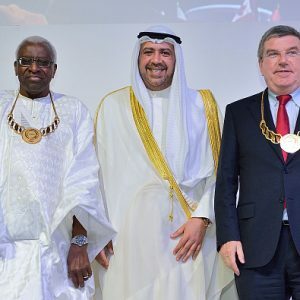 The cornerstone of the system should be the athletes themselves, not the federations, which in some cases are like big fat cats, and not their heads, or even the coaches, for all our immense respect for their work, but ultimately, it is the athletes who produce the results and they must therefore be the centre of attention. Finally, I cannot but agree with you that those in charge of preparing for these Olympics need to take their share of responsibility for the results. This is obvious. I think that those responsible, some of them at least, should take the brave decision to submit their resignations and step down. If they do not find within themselves the resolve to do so we will help them. But this is not the most important thing. Most important is to prepare for the 2014 Olympics, and we need to pour all our effort into this work. This is not the time to sink into despair. Of course we were all upset, all had our share of negative emotions, but we need to put this behind us now and move on, get ready for the 2014 Olympics. Look at Canada’s brilliant performance. Who would have guessed that Canada (even though it is a good sporting nation and so on) would win so many gold medals, take first place in the gold medal count? No one expected this. I think the Canadians themselves probably did not expect it. Now we also have just as much chance of putting on a good performance at the 2014 Sochi Olympics. So, let’s get to work on this. Ich habe dazu für den Deutschlandfunk eine kleine Zusammenfassung gedichtet, in die einige, sagen wir: Erkenntnisse, meiner Aufenthalte im Russky Dom zu Vancouver einflossen. Demnächst mehr. Der russische Sport ist nach den Winterspielen von Vancouver in Aufruhr. Nur drei Olympiasiege, Platz elf in der Nationenwertung – während der Spiele wurden deshalb, wie so oft, diffuse Verschwörungstheorien gestrickt. Angeblich hätten sich alle Kampfrichter gegen Russland verschworen. Nach den Spielen aber konzentrieren sich die Russen auf sich selbst – und Präsident Dmitri Medwedew macht den Sport zur Chefsache. Eigentlich wollte Präsident Medwedew am letzten Wochenende nach Kanada fliegen. Mitarbeiter der Protokollabteilung waren bereits im russischen Haus in Vancouver eingetroffen und planten den Kurzbesuch. Dieser wurde nach der historischen Pleite im Eishockey, dem 3:7 im Viertelfinale gegen Kanada, kurzerhand gestrichen. Statt der erwarteten 30 wurden es nur 15 Medaillen. Zudem ist der russische Wintersport von Dopingskandalen erschüttert, was zwar in Russland traditionell weniger interessiert als im Ausland – doch Medwedew und Premier Wladimir Putin haben dem IOC versprochen, das Dopingproblem anzugehen. Am Montag nach den Spielen empfing Medwedew im Kreml einige Führungskräfte der Staatspartei “Einiges Russland”, darunter Boris Gryslow, den Vorsitzenden der Duma. Medwedews Rede wurde ein Tribunal. Die absurden Bilder eines resolut argumentierenden Präsidenten und der nach Anweisungen lechzenden und stets nickenden Gäste kann man auf Youtube betrachten. Zunächst ging es darum, Schuldige am Desaster auszumachen. Medwedew nannte zwar keine Namen, doch jeder wusste, dass er NOK-Präsident Leonid Tjagatschow und Sportminister Witali Mutko meinte. Zwei Tage später traf sich Medwedew mit Tjagatschow und Mutko. Kurz darauf, nach einigen verwirrenden Meldungen, reichte Tjagatschow putzmunter seinen Rücktritt ein – tags zuvor hieß es noch, er leide an einer schweren Lungenentzündung. Mutko bleibt vorerst im Amt, nachdem sich Premier Wladimir Putin eingeschaltet hatte. 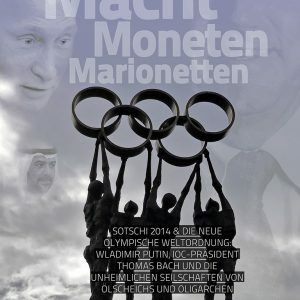 Denn die vermeintlichen Aufräumarbeiten im Sport und die Vorbereitungen auf die Olympischen Winterspiele 2014 in Sotschi sind natürlich auch ein Privatduell zwischen Medwedew und Putin, die sehr wahrscheinlich 2012 gegeneinander den Präsidenten-Wahlkampf bestreiten. Der russische Sport ist total politisiert. Tjagatschow war selbst einmal Sportminister und Putins Skilehrer, er hielt sich nur mit Putins Unterstützung im Amt. Tjagatschow ist eigentlich in Österreich in einem märchenhaften Anwesen zu Hause. In Vancouver fiel er erneut mehr durch Alkoholkonsum und dadurch auf, dass er beim Patriarchen Kyrill, dem Vorsteher der Russisch-Orthodoxen Kirche, telefonisch um Beistand bat. Mutko kommt aus Putins St. Petersburger Clique. 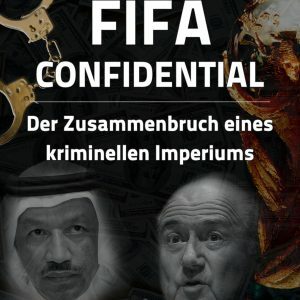 Er wurde kürzlich von Medwedew schon als Präsident des russischen Fußballverbandes rasiert, bleibt aber Mitglied des FIFA-Exekutivkomitees. Mutko sagte vergangene Woche, mit seinem Rücktritt als Minister wäre dem russischen Sport nicht geholfen. Die Frage lautet: Womit ist dem russischen Sport überhaupt zu helfen? Auch einige derjenigen, die jetzt als Tjagatschows Nachfolger gehandelt werden, haben in etlichen Funktionen zum Desaster beigetragen: Etwa Wjatscheslaw Fetisow, der Eishockey-Olympiasieger und gewesene NHL-Profi. Auch er war mal Sportminister, dann Chef des inzwischen wieder aufgelösten staatlichen Sportkomitees. Er ist Tjagatschows Intimfeind und trotzte sogar Putin. Andere Figuren, wie die russischen IOC-Mitglieder Witali Smirnow und Schamil Tarpischtschew, stehlen sich wieder einmal aus der Verantwortung. Sie haben nicht nur Verbindungen zur organisierten Kriminalität, sie sind auch für das Verschwinden von Milliarden US-Dollar verantwortlich, die eigentlich dem Sport zukommen sollten – ob nun über den so genannten Wodka-Fonds oder diverse Olympia-Lotterien. Das Problem ist allerdings: Jede Funktion ist politisiert. Junge, unverbrauchte Kräfte mit frischen Ideen kommen nicht an die Macht. Allenfalls Milliardäre wie Michail Prochorow, der als Mitfavorit auf den NOK-Chefposten gilt. Es gibt sie, diese jungen Kräfte. 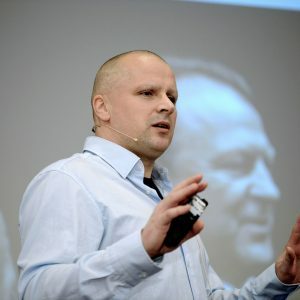 Einige davon organisieren die Winterspiele in Sotschi, etwa Dmitri Tschernytschenko, der Organisationschef, seine Stellvertreterin Tatjana Dobrochalowa oder Marketingchef Igor Stoljanow. Doch selbst sie müssen im autokratischen Russland stets einen großen Teil ihrer Energie darauf verschwenden, nicht in Ungnade zu fallen und – mir nichts, dir nichts – abgesägt zu werden. Einige Lesebefehle, leider sind die aktuellen Texte von Frank Nienhuysen (SZ), der von den deutschen Korrespondenten die meines Erachtens beste sportpolitische Berichterstattung aus Russland macht, nicht frei online verfügbar. Wer sich mit den Tricks des FAZ-Archivs besser auskennt als ich, der sollte den Text von Michael Ludwig vom 6. März suchen und lesen („Nun nimmt Putin die Sache lieber selbst in die Hand“). die englische Übersetzung ist ziemlich wörtlich, er spricht also tatsächlich von „großen, fetten Katern“. Danke auch für den Link zur Berliner Zeitung zum Wodka-Fonds. Auch wenn es lange her ist, genau das hatte ich vorhin gemeint. Mafia, IOC, Russland. Damals habe ich die olympische(n) Bewegung(en) noch nicht verfolgt. Die russische Kunstturn-Meisterin Kristina Gorjunowa wird nicht an den Olympischen Spielen 2012 teilnehmen. Zeile 1: Interessant, wie es das UDIOCM (FDP) schafft, in einer selbstzufriedenen Vancouver-Bilanz seinemn … Koalitionär … zu loben. Erledigt. Danke. N statt M eingefügt. Das passiert, wenn Mann seinen eigenen Schachtelsätzen, die im Übrigen jedem journalistischen Lehrbuch für Einstiege widersprechen, nicht mehr folgen kann. Demnach soll es sich um die polnische Langläuferin Kornelia Marek handeln. Der positive A- Test wurde nach dem 4 x 5 km Staffellauf durchgeführt, in dem die Polinnen mit der dreifachen Medaillengewinnerin Justyna Kowalczyk den 6. Platz belegten. Sorry, ich meinte natürlich die OS 2012. Jetzt ging es hier durcheinander. Mein Beitrag, auf dem sich meine Korrektur bezieht, ist trotz zweimaligen Postens leider nicht erschienen. Hier der originäre Beitrag . Focus onlie und Spiegel online hatten 3 h vor dpa gemeldet, dass Kristina Gorjunowa von russischen Verband für 2 Jahre gesperrt wurde und demnach nicht an den OS 2012 teilnehmen kann. Hier die jüngste dpa-Meldung in der SZ. Turnerin Kristina Gorjunowa ist vom russischen Verband wegen Dopings für ein Jahr gesperrt worden. Danke Walter für den Bestand. Ja, das meine ich. Seit September 2008 (nach Peking) gilt gemäß Beschluss des IOC-Exekutivkomitees: Wer im Olympiazyklus eine mindestens sechsmonatige Dopingsperre hatte, darf nicht an den folgenden Olympischen Spielen teilnehmen. D.h. wer seit Peking mindestens sechs Monate bekam, fällt für London automatisch aus. Ich kann nicht erwarten, dass dieser Umstand allen Schreibern und Verfassern von Dopingmeldungen bekannt ist. 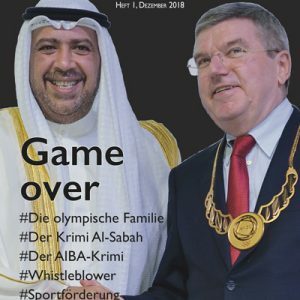 Sollte sich das IOC nicht an die selbst auferlegte Regel halten, ist das wieder ein anderes Thema. Gemäß seinen Nominierungsgrundsätzen wird der DOSB grundsätzlich keine Athleten, denen zwischen 2004 und 2008 ein Verstoß gegen die Anti-Doping-Regeln nachgewiesen wurde bzw. 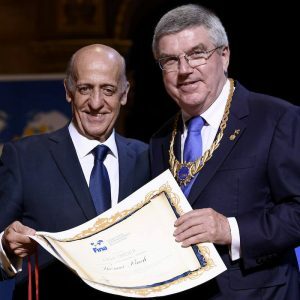 wird, für die Olympischen Spiele nominieren, und zwar unabhängig von der Dauer etwaiger Sperren. Wieso liegen eigentlich die Resultate von Dopingkontrollen während der Spiele innerhalb von 2-3 (?) Tagen vor, wenn es hinterher 2-3 Wochen dauert? Im Grunde lässt sich das beantworten: OS sind Ausnahmen, u.a. mit bestens besetzten Laboren, die Tag- und Nacht das Zeug abarbeiten. Die Proben sind binnen extrem kurzer Zeit im Labor, das allein kann unter normalen Umständen (wie immer man das bezeichnen will) schon etwas länger dauern. Wenn dann tatsächlich eine positive Probe vorliegt, ist bei Olympia inkl. 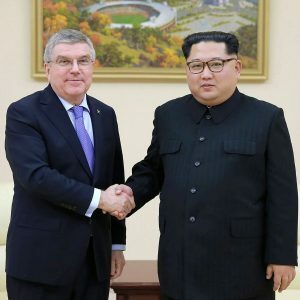 des CAS-Schnellgerichts und des IOC-Exko alles vor Ort. Sonst geht erst mal alles seinen sozialistischen Gang, und das dauert automatisch länger. Wäre es dann nicht sinnvoll, daß das Testlabor 2-3 Tage über das Ende der Spiele hinaus mit demselben Tempo weiterarbeitet, bis alle Proben der Spiele untersucht sind? Das machen die imho auch. Die arbeiten alle Proben ab. Nur ist es so: Die ad-hoc-Kammer des CAS und sämtliche Athleten/Verbandsvertreter und sonstige Funktionäre sind gleich verschwunden. Das bedeutet automatisch einen Zeitverlust bzw. es greifen wieder die normalen Mechanismen. Dann dauert es eben gleich einige Zeit, ehe die B-Probe im Beisein der Athletin und/oder eines Rechtsvertreters geöffnet wird. Ohne den Fall recherchiert zu haben, scheint mir diese Erklärung verantwortbar :) Will sagen: Ich würde da mal ausnahmsweise keine Verschwörung wittern. Die Rusada hat auf ihrer Seite eine Liste von russischen Sportler/innen veröffentlicht, die seit dem 1.01.2009 wegen Dopings von russischen Verbänden gesperrt worden sind. Auf der englischen Version der Seite gibt es die Liste (noch?) nicht. „Wir waren alle überrascht, dass Stepanowa zwei Goldmedaillen gewinnen konnte“, sagte Scharkowski der russischen Nachrichtenagentur All Sport. Man habe Verdacht geschöpft und herausgefunden, dass sich eine andere Person bei der Dopingkontrolle für Stepanowa ausgegeben habe. – Women’s 30 km mass start classical, where she had placed 11th.